The Mandan Park District is hosting Slide the City in Mandan on August 2 from 10 am to 8 pm. This event will take place on Sunset Dr. adjacent to Mandan High School. Slide the City is a family-friendly event with a 1,000 foot slip-and-slide water party event. Mandan Park District is partnering with Mandan Progress Organization to help bring food and craft vendors, a farmer’s market, musical entertainment, and inflatables to the event. The event is a one day event open to the public. Ticket rates vary according to the number of times you would like to go down the slide. Tickets and rates are available at www.slidethecity.com. Onsite registration will be located near the bottom of the slide. Tickets will be available for purchase the day of the event. Substantial parking will be available in the school parking lots and off street parking in the adjacent neighborhoods. The City of Mandan approved street closure and water use. The water will be recycled and not wasted, and water quality checks will be performed every twenty minutes by qualified technicians. The total amount of water used will be restricted. The event will require the street to be shut down to vehicle traffic, allowing participants safe access to the slide. Because safety is their number one priority, they have established standards and procedures to ensure a safe ride for the sliders. All patrons must sign a waiver, must be 46 inches tall to ride, and all participants are required to use a tube. An EMT and paramedic will be on-site all day staffing an ambulance in case of an emergency. All proceeds for this event will help fund the universal playground. The new universal playground is going to be placed in what is now Eagles Park in Mandan. A universal playground is a playground that meets the needs of everyone. For more information on this event, visit www.mandanparks.com or go to www.facebook.com/mandanparkdistrict. An app has been created to help students with writing difficulties. For individuals with disabilities that impact writing, filling out a worksheet could cause frustration and cause the individual to fall behind academically. The SnapType app was created to help a 5th grader with dysgraphia. He knew the material, but he wasn’t able to write his answers in the space provided quickly or neatly enough to be successful. An occupational therapist in training noted his difficulty and decided to find the solution. When she couldn’t find it, she created it alongside a developer. 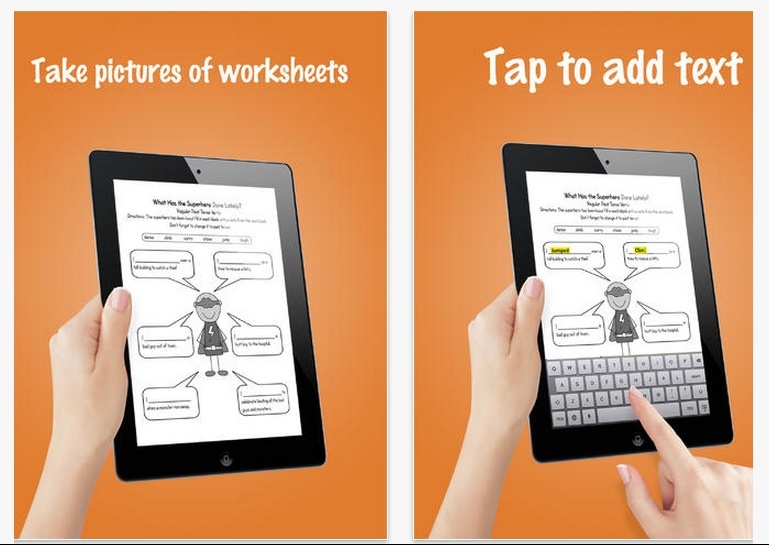 This app allows a student to take a picture of any worksheet or workbook page with an iPad, and then add text using the iPad’s virtual keyboard, an external keyboard, finger, or stylus. Using this app is easy. It is as simple as snapping a picture, and then type or write the answer. A slider at the top of the app window allows you to change the font size so the writing fits into the blank space. Documents can be shared as a PDF, image, or SnapType document by using the share button. This allows the individual to use the image in any app on his/her device which can accept images or PDFs. This means that worksheets can be emailed to the teacher. The SnapType app would be beneficial to any person with a disability that impacts writing. The app allows you to type anywhere on the document by creating text boxes. This could help someone fill out a job application or other necessary forms. This app is free and can be found in the iTunes store. With the utilization of RouteMatch’s hardware and software, the CAT hopes to help disseminate route and schedule information as well as streamline its data and connectivity internally. While the RouteMatch hardware and software has been in place with Bis-Man Transit’s paratransit service since this time last year, many of the features used on a fixed-route system could not be tested due to the nature of door-to-door service. An example of this is the verbal indicators for approaching or departing timing points which are only needed on the fixed-route system where riders can exit the bus anywhere along the route. The rider’s experience on the bus isn’t the only change. A free phone app called RouteShout is available. It will put more route and schedule information than ever at the fingertips of their customers. This app allows the user to pick various timing points along the CAT routes and see when upcoming buses will be traveling by those respective routes. Scheduled times of arrival and the estimated times of arrival will also eventually be provided through the app. The users will have the ability to save or favorite stops and routes they frequently use. 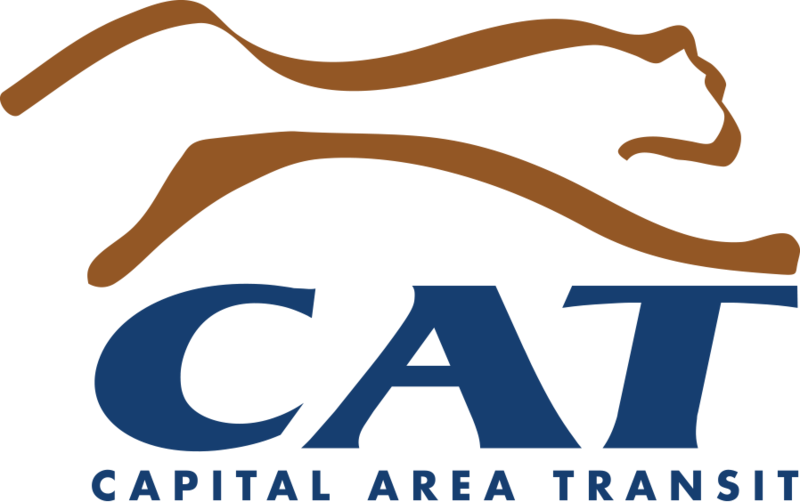 If a rider is not familiar with the CAT routes, an option will also be available to simply enter their location into the app and have it search for the nearest routes and timing points. The app is available for Droid and Apple devices, but is not available for Windows-based phones. Another useful feature is the ability for customers to find route information through texting. Someone will be able to text various timing point codes to 25252 and see the various routes that are scheduled to go by that timing point in the next hour. These texting codes will be available on signs at various timing points and can also be found on their website at www.thecatbus.com. The new system will also be heightening service from behind the scenes. The new system will track the number of riders getting on and off each bus. The automation of some of these processes will eventually lighten the driver’s workload and allow them to focus more on the route. For more information about this, and other services the CAT provides, you can contact staff by calling 701-258-6817. Information is also available at http://www.thecatbus.com.